So, my little balcony garden is in full mid-summer bloom. There are loads of green tomatoes just waiting for the right weather to turn red. Some are a random heirloom variety, so I don’t even know what color to expect from them. Due to some building maintenance, the Earthbox they are in had to be moved for a few days and a few stems were broken, but everything is back to normal now. I’ve been using the railing instead of staking so they were flopped over, but they seem to have recovered. The strawberries have sent shoots everywhere and are producing about a handful of berries a week. The herbs have provided some tasty pesto and mojitos. I must admit the flowers have been somewhat neglected as they aren’t my focus but they have new flowers. 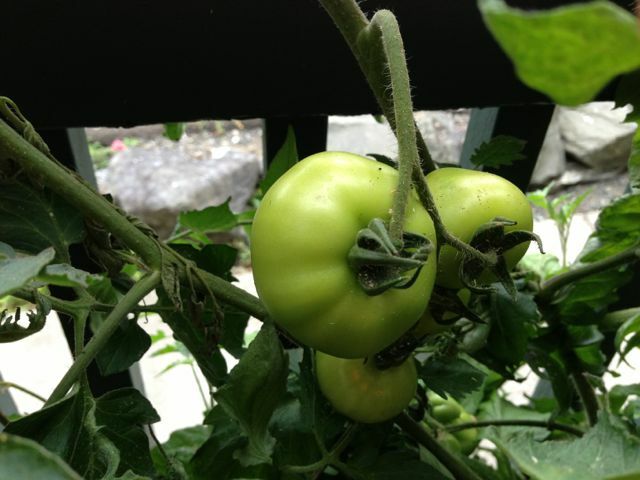 This entry was posted in Garden and tagged balcony gardening, planter gardening on August 1, 2013 by sherikuz. 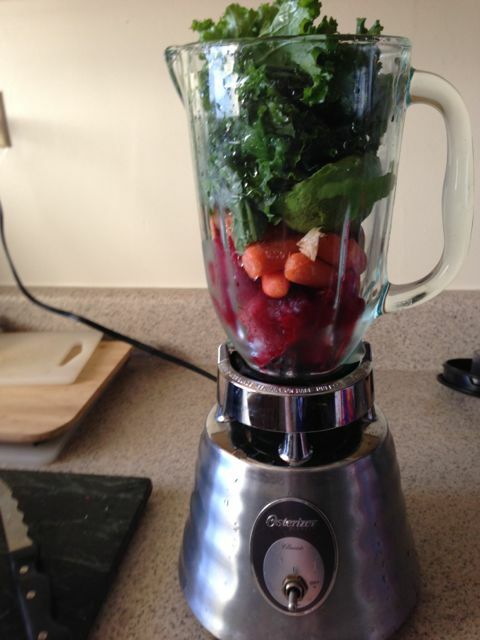 You don’t have to live in the country or suburbs to have a productive garden. If you are used to growing plants in the ground or not having a garden at all, there could be a bit of a learning curve, but with a little planning you can have a beautiful and bountiful patio or balcony. 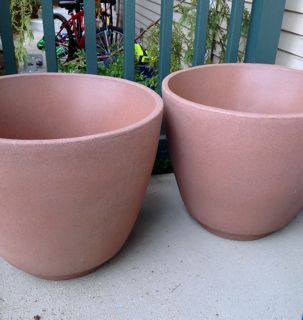 These pots could be used for tomatoes, cucumbers, lemon trees. Use your imagination. To save money and your back, fill the bottom with a shelf or styrofoam. This entry was posted in Garden and tagged balcony gardening, container gardening, planter gardening on May 31, 2013 by sherikuz.